Goderie's Tree Farm started growing Christmas Trees for retail and wholesale in 1970. The retail Christmas Tree lot officially opens on the day after Thanksgiving, black Friday, and is open 7 days a week thru Christmas Eve. 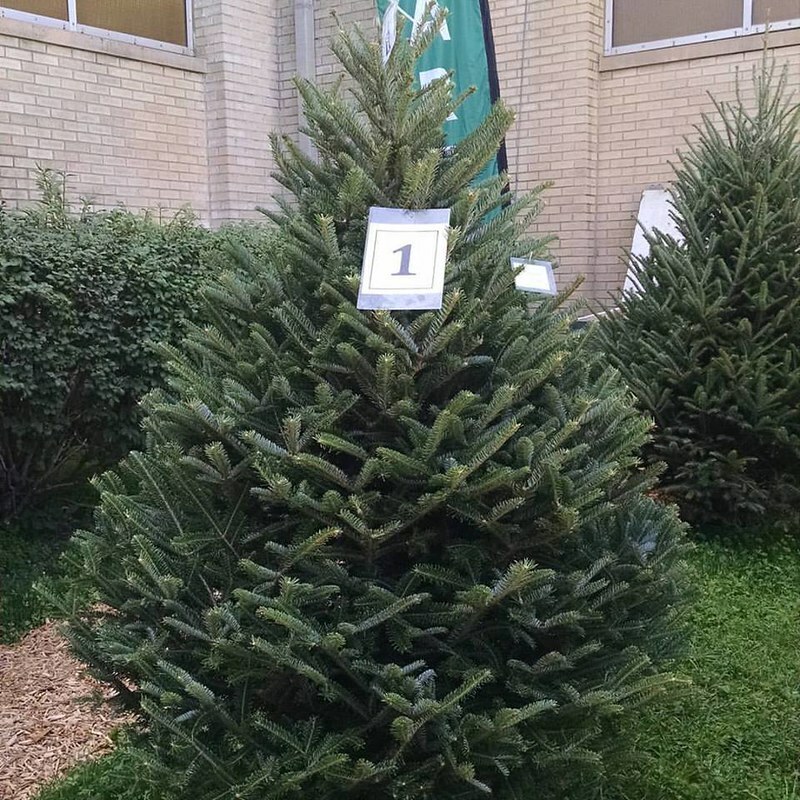 There are hundreds of pre-cut trees of all sizes, varieties and price ranges to choose from. Fresh cut trees from 3 ft to 18 ft in height are brought in daily. There is also a large selection of balsam and mixed evergreen wreaths from 12 inches to 72 inches in diameter that can be purchased either plain or decorated. as well as many other related items such as tree stands, wreath hangers, removal bags, tree fountains as well as some handmade crafts from local artists. Cut your own is available on weekends only. Pick Out Your Tree While the Weather is still Beautiful! Goderie's Tree Farm has been letting families Pre-Tag their Christmas tree in the fall. while the weather is nice, select their tree and give Goderie's Tree Farm a pick up date. These trees are the first brought out every day by the harvesting crew. This has become very popular with many of our customers as it allows them to spend as much time as they wish during nice weather to pick out the perfect tree. It then takes less than 5 minutes to pick up the tree in December. Many families make a day of it bringing picnic lunches and playing Christmas carols as there are many picnic tables and trash receptacles spread throughout the Farm.